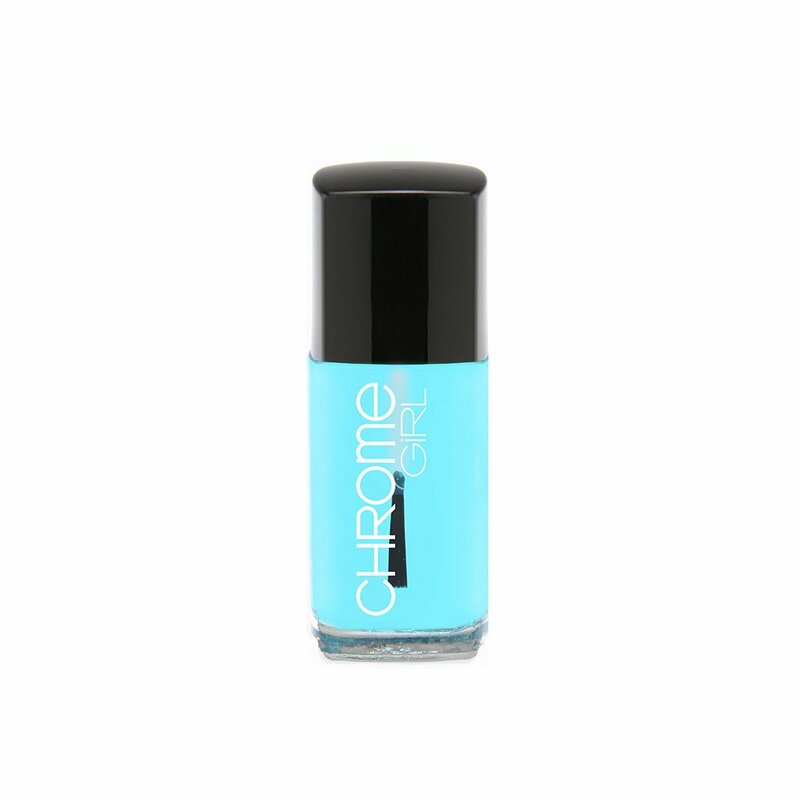 Chrome Girl products can only be explained as a mini spa vacation for your nails. And with scents like “coconut & Island rum” and “pina colada” how could you NOT feel like you’re on vacation? 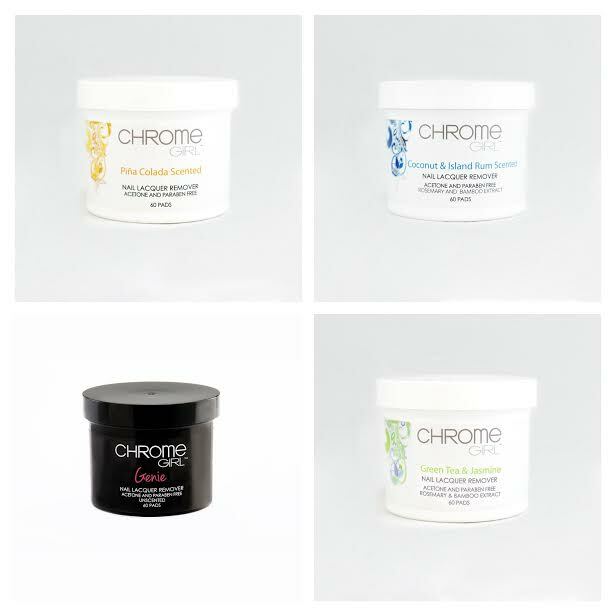 Aside from beach bliss, all of Chrome Girl products are created without using the harsh chemicals of their competitors. 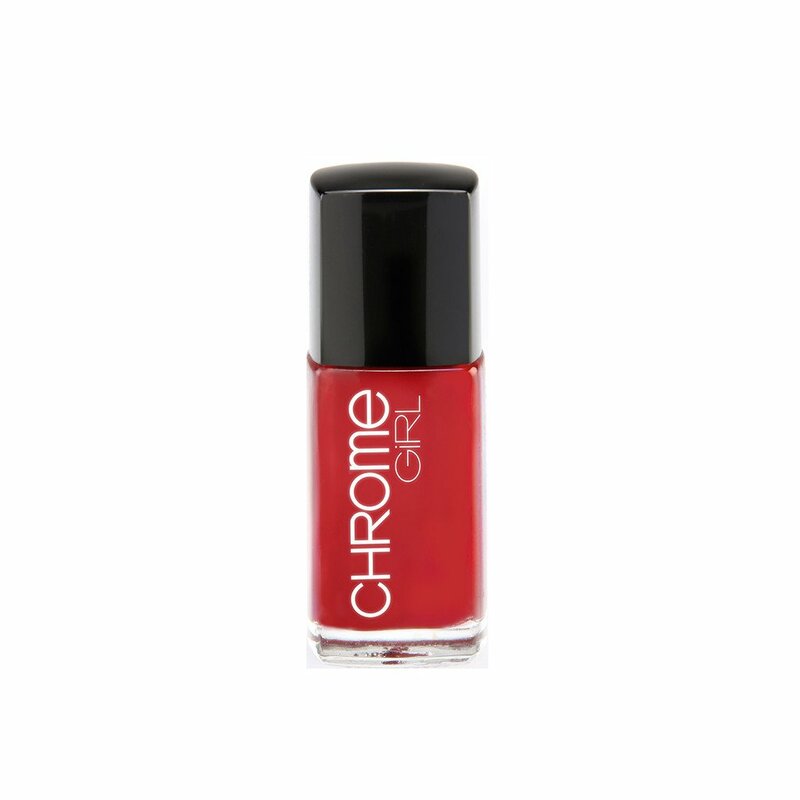 Founders and friends Jaime Boreanaz and Melissa Ravo created Chrome Girl after polishing their daughters nails one day. Looking at the label, they were shocked to see what they were exposing their children to. The result? A high quality product that doesn’t harm your nails or skin. Our MyTopFace experts started with the removal of some old nail polish. (ick!) 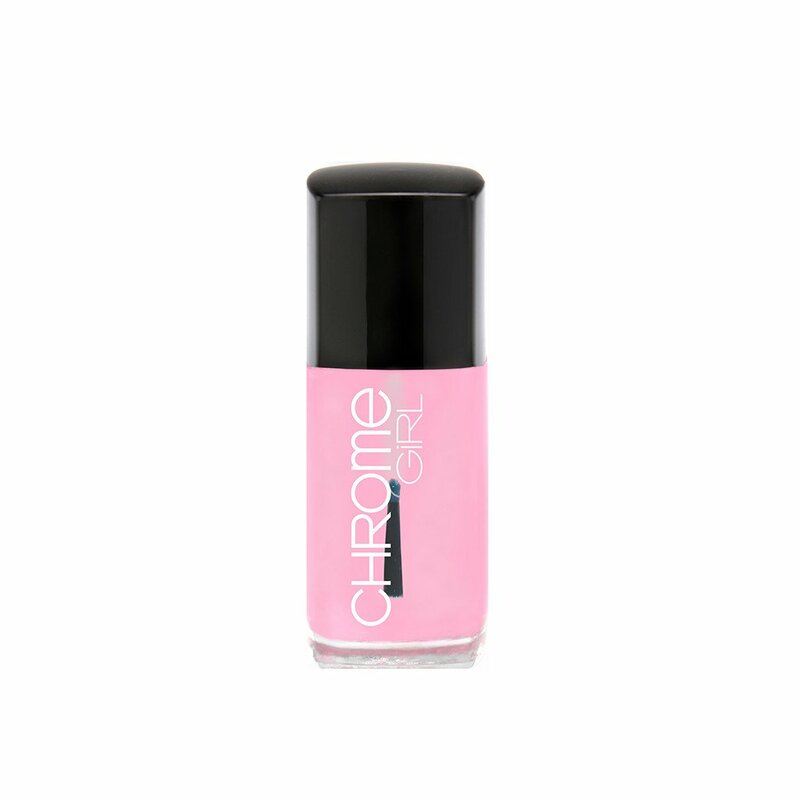 Chrome Girl polish remover not only removes the polish from your nails but also nourishes your cuticles and strengthens the nails themselves, all without any acetone! You’ll be amazed at how soft and silky your fingertips feel afterwards. You almost won’t want to put anything on them but with the array of amazing products to finish off the perfect manicure, it’s hard to say no. You’re nails deserve a vacation, don’t they? Then, a Base Coat. I know you’re tempted but don’t skip it. Brush on a nice base coat and your manicure will last longer. It’s worth the extra strokes. Next a color. 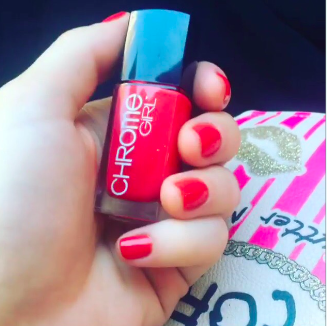 Our experts chose “Heartbreaker”; a bold and classic red. For a less shiny color, use the Matte Top Coat. The matte top coat leaves a really clean, simple look. But still stunning. The Top Coat is the perfect opposite to the matte top coat; leaving your nails shiny and sassy. Painting your own nails can feel like such a process and the smell of the remover and polish can be somewhat nauseating. But Chrome Girl really created a great mix here. Not only did everything from the remover to the cuticle oil smell great, everything brushed on with ease and dried super fast. 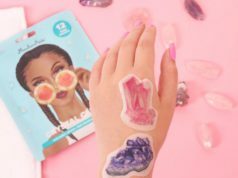 You’ll be ready to go out for drinks with the girls in no time! With over 50 different polishes, all sporting fun names like “Pillow Talk” and “How ‘Merlot’ Can You Go”, you’re sure to find the perfect color for your night out. Wanna switch it up the next day? It’s really as easy as 1,2,3. 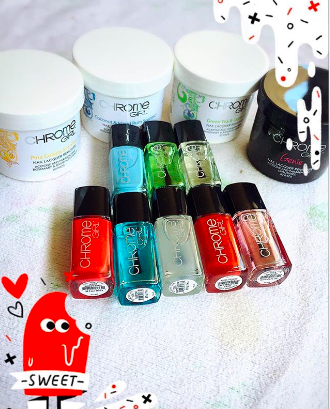 So, grab the gals and some Chrome Girl products and get ready for a pampering night in! Check out our article on pampering yourself is so important according to Maria Bonita Salon!